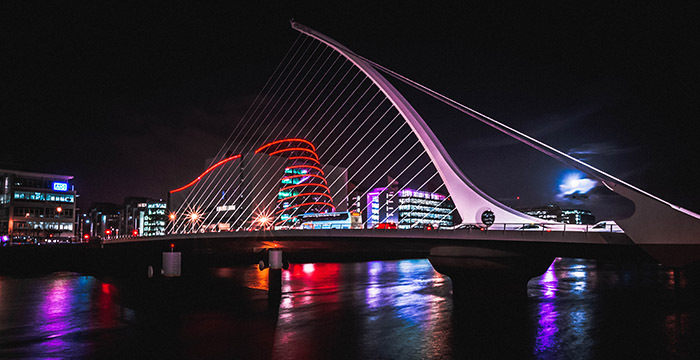 DLA Piper is launching an office in Dublin to take advantage of what the global titan predicts will be an influx of financial services businesses to Ireland post-Brexit. DLA isn’t the first big legal player to launch in Dublin since June 2016’s referendum. Other outfits include Pinsent Masons, Simmons & Simmons and Covington & Burling. Back to DLA and details regarding its new Irish offering remain thin on the ground. It’s still not clear how many lawyers the outfit is looking to take on, for example. We can, however, tell you that the office will be headed up by David Carthy, who will join DLA from the Irish outfit William Fry, where he’s currently a corporate partner. Carthy is a qualified attorney in the US as well as a solicitor in both England and Ireland. We have reached out to the firm regarding the position on the possibility of Irish training contracts, but is yet to hear back. Legal Cheek’s Firms Most List shows DLA Piper offers around 70 training contracts annually. London-based rookies currently earn a salary of £44,000 in year one, rising to £49,000 in year two. It’s newly qualified lawyers, again in London, earn £75,000. I heard that APPARENTLY if you ingest whey protein regularly, the smells you create will make you very unpopular with your colleagues. Delicious little plug there, Tommy. How’s the Pupillage hunt going? UK putting in a State aid regime is good for the current Government as (1) it’s the likely price of any trade deal with the EU (putting it in now makes it look like the UK has a choice); and (2) a State aid regime is a useful restraint to stop the devolved assemblies and a future Corbyn government splashing the cash in a most un-Tory way. “Remoaner” George meanwhile will be fine: post Brexit he’ll be able to start charging for the same work twice: once for the EU advice and again for the UK advice. Wow. These four brief repetitive articles about basically nothing make up LCs work output for the day. That is, what, one boring article per member of writing staff? What are you doing all day I do hope for your sponsors’ sake you don’t all take full time 37.5hr week salaries!! Don’t go into law, go to work for Legal Cheek!!! Why did DLA get so big? It just kept Dublin and Dublin and Dublin and DUBLIN.